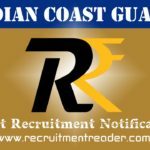 Latest Andhra Bank Recruitment Notification 2018 – Andhra Bank invites applications for the position of Security Officers in Middle Management Grade Scale (MMGS) II and III. The Bank announced 20 vacancies for the post of Security Officers. Among 20 vacancies, 15 vacancies are announced for MMGS-II and 05 vacancies for MMGS-III. Candidates who have eligibility as per Andhra Bank Notification may apply online from 19.09.2018 to 23.09.2018. After completion of online application, send the hard copy of online application to Andhra Bank Head Office on or before 04.10.2018. Before apply for the job vacancy, candidates should ensure that they fulfil the eligibility criteria given in the notification. Also be aware of job profile, job requirement, compensation, selection process and application process from the notification. The bank will reject incomplete applications and applications received after the last date. So, applicants should submit the complete application on or before the stipulated date. 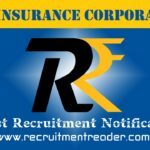 Look into Andhra Bank Notification for more details of qualification and experience. For General & OBC candidates, ₹600/- (Application Fee + Intimation Charges). For SC/ ST candidates, ₹100/- (Intimation Charges). First register online and take a printout of online application. Send the application with required documents to Asst. General Manager (HR), Andhra Bank, Head Office Recruitment Section, HR Department, Dr. Pattabhi Bhavan, Saifabad, Hyderabad, Telangana – 500004. Application envelope should have superscription as Application for the Post of Security Officer (MMGS II/ III) in Andhra Bank. 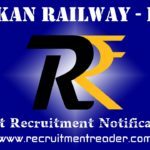 Logon to Andhra Bank website and then locate Recruitment page. In Recruitment, find notification for recruitment of Security Officer. Send the hard copy of online application as per the procedure given in the advertisement. Find upcoming Andhra Bank job notifications @ Recruitment Reader. 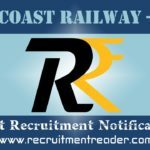 For more details regarding Andhra Bank Recruitment Notification 2018 logon to www.andhrabank.in. The information given above is based on Andhra Bank official advertisement. Andhra Bank invites applications for the position of Sub Staff in Rajasthan. The Bank announced 12 vacancies in Rajasthan districts of Tonk, Jodhpur, Chittorgarh, Karauli, Kota, Pali, Sikar and Jaipur. Candidates who are eligible may apply for the current vacancies through proper channel in prescribed format. The application format is available in the Andhra Bank website. The Last date to submit the application is 14.06.2018. Look into Andhra Bank Notification for more details of qualification. Eligible candidates download the application format from the website. Submit the completely filled application with required documents directly to Jaipur Zonal Office, Andhra Bank on or before 14.06.2018. In Recruitment, find notification link for Sub Staff Recruitment. Click the link and then find zone wise vacancies, guidelines and application format. Fill up the application form completely and attach necessary documents. 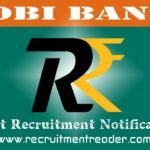 For more details regarding Andhra Bank Recruitment Notification 2018 logon to www.andhrabank.in. The information given above is based on Andhra Bank official advertisement.